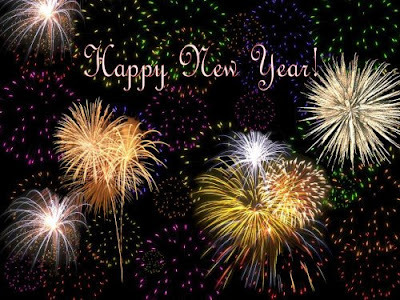 I have heard and read a lot of New Year's salutations over the last few days. All of them are full of words like "health," "happiness," and "prosperity" -- the usual suspects. And while I do not question the good intentions of the well wishers, it strikes me that in all my fifty-nine new years, no one has ever wished that I would receive more of something I obviously could use -- "wisdom." So, as we enter 2007, what I wish for all of us -- from our small corner of the world, to the outer edges of the planet -- is more wisdom. To begin with, I wish that my children's generation will possess and apply more wisdom to their environment than my own has. I wish that they will practise the wisdom of "we" as opposed to "me." I hope that they will reject an economic system which rewards the concentration of wealth and power, and that they will recognize that, in the long run, it is in their own self interest to share whatever wealth and power they acquire. I hope that we all will recognize that we are connected to every living organism on the planet and that the choices we make for ourselves radiate outward, like the ripples in a pond, and touch everyone and everything. That knowledge should not cripple our ability to act -- even boldly --but it should lead us to do things for the general welfare, not our own. I pray that all parents will teach their children wisely and well -- and when they fail in that task -- that there will be someone there to take it up. If there is hope, that hope always rests with the next generation. And I pray that we stop demonizing those who don't look like us, who don't speak our own language and who don't believe as we do. Not because those differences have no significance -- they do -- but because, when we see evil incarnate in others, we cannot see what we share in common; and there can be no progress until we recognize our common needs. Finally, I wish that we have the wisdom to learn from history. If nothing else, history explains how we got from there to here. And, because situations tend to repeat themselves, it is wise to know how the understanding of and reaction to those situations affected future generations. Wisdom does not ensure a good outcome. Like King Solomon, we can begin well and end badly. And, as I have said elsewhere, possessing a string of academic accolades does not immunize one from folly. But the century we just left behind us provided more than enough folly to cover all of human history. One can always hope that this century will take a wiser, better course. My wife and I attended a performance of A Christmas Carol at our son's school last Friday evening. It was a production which took itself seriously -- which is what all productions of Dickens' classic should do. 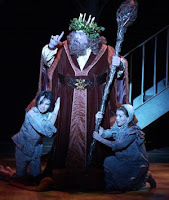 Something else it did, which many such productions choose not to do, was to present on stage the two orphan children cowering under the Ghost of Christmas Present's robes -- Ignorance and Want. While everyone takes joy in Scrooge's redemption, many of us miss the significance of those two orphans. They are always there; they follow the Present throughout his journey. And, in truth, they will always be there. They are there because they are the incarnation of what Marley tells Scrooge was the ghost's -- and what should be -- Scrooge's "business." Christmas exists for many reasons -- the laughter of children, the gathering of family, the memory of He whose birth we recall. But the holiday should never pass without all of us recalling that "mankind is our business." It was so in Dickens' day, as it should likewise be in our own. Strangely enough, Scrooge has a distinctly contemporary ring these days. In fact, when he asks, "Are there no prisons, no workhouses?" he seems to be advocating the kind of social policies many Western democracies have adopted over the past twenty-five years. History does have a way of repeating itself. But history does not have to repeat itself. Dickens' message is all about renewal -- even at the last minute. We still have the opportunity to redeem ourselves and redirect our lives. Christmas reminds us the that it is everyone's business to help banish Ignorance and Want. If we dedicate ourselves to that task, we can share Tiny Tim's wish that God will bless us -- everyone. "O, You Are Men of Stones"
There were echoes of King Lear last week when George Bush broke down during a speech at an event to honour his son Jeb, who is retiring as the governor of Florida. 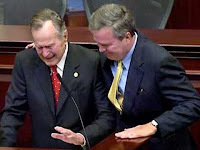 The Elder Bush was recalling Jeb's first run for the governorship -- which he lost -- when his father broke down, weeping, while his son came to his father's side. No doubt there will be some who will conclude that the old man is entering his dotage, because his reaction was so out of proportion to the facts. After all, Jeb ran a second time and was then re-elected to a second term. On the surface, the story is about redemption, making a comeback and triumphing over adversity. But, while the incident was all about loss, George H. W. has not lost it. At this stage in his life, there must be greater losses on his mind than that of Jeb's first electoral defeat. Perhaps he was weeping as he recalled his defeat at the hands of Bill Clinton. It must have been a particularly bitter pill. After all, he had executed the first Gulf War successfully, calling on his United Nations and CIA experience to build an international coalition to achieve a limited objective -- which most of his allies paid for. Then there was his establishment of the Resolution Trust Corporation, which cleaned up the Savings and Loan debacle, something Ronald Reagan left him as he walked out the Oval Office door. The Savings and Loan mess was a horrendous and complicated swamp which required a large injection of public money to drain and reclaim. But Mr. Bush persuaded his countrymen that, although it was costly, it was a worthy cause. Then there was the problem of breaking his "no new taxes" pledge. Given the deficit he was facing, raising taxes was in the nation's long term interest. It was a policy that his successor followed -- and which cost him the House and the Senate -- but, as time would prove, led to the first budget surpluses in nearly forty years. And what did this foresight earn Mr. Bush? He was lambasted by the radical right wing of his own party. Mr. Bush had made mistakes -- to begin with, he never should have made the no new taxes pledge -- but if, like Lear, he felt "more sinned against than sinning," that sense of betrayal was understandable. Or maybe the first President Bush was thinking of the second President Bush -- a man whose chief motive for seeking office seems to have been to right the wrongs done to his father. He appears to have gone into Iraq to finish the job his father started and to get the man who, in George W.'s words," tried to kill my dad." That kind of plot makes for a good novel, or an even better play. Unfortunately, as is now abundantly clear, it makes for disastrous foreign policy. In the very week George the Elder was honouring Jeb, the Iraq Study Group delivered a report to George the Younger which came to the conclusion that the second President Bush's foreign policy was just that -- a disaster. Beneath the carefully worded consensus, the bottom line of the report was that "the way forward" lay in retreat. The basic premise behind the group's seventy-nine recommendations is that the United States has lost the second Iraq War. It is a conclusion which -- the polls tell us -- the American people have already reached. It would appear that Mr. Bush and his advisers refuse to accept that conclusion. Retreat is not a word that this Bush administration is going to use. And, even if there is a retreat -- Mr. Bush is quite capable of changing his mind, as witness the departure of Mr. Rumsfeld. The suspicion of many is that the retreat will be long and slow. Frank Rich, in The New York Times, (see The Sunshine Boys Cannot Save Iraq) recently reminded his readers that, when Lyndon Johnson refused to run, stopped the bombing of North Vietnam and began peace talks with the Viet Cong, some twenty thousand American soldiers had died in Vietnam. Five years later, when his successor -- Richard Nixon -- decided to leave Vietnam, the number of dead American soldiers had grown to over fifty-five thousand. Such was the price of what Nixon called "peace with honour." All of those fifty-five thousand names are etched in that black marble wall in Washington. Perhaps George Sr. was weeping for George Jr.'s lack of experience. For, while it is true that both father and son flew military aircraft, the Elder Bush was shot down over the Pacific. Bush the Younger has never faced that kind of hostile environment; and his flying was within the boundaries of the United States. The experience of personally being a victim of an enemy attack, I suspect, encourages one to carefully weigh the consequences of military action. When one looks at Bush's advisers and cheerleaders -- starting with his own vice president and moving on to Rumsfeld, Douglas Feith, Richard Pearle, Paul Wolfowitz, Bill Kristol -- one cannot but be impressed with the fact that none of them knew anything about combat. And, therefore, none of them knew anything about what could go wrong. They simply assumed that, with the demise of the Soviet Union, the United States possessed the military might to work its will wherever it chose. They forgot -- or failed to heed -- the bitter lesson which forced President Johnson from office -- that, given the right circumstances, what Johnson called a "raggedy-assed country" could defeat a colossus. The first president Bush has learned a lot in his eighty odd years. And the son, who sits in the chair his father once occupied, has not benefited from -- nor asked for -- any of his father's wisdom. For that, the father has just cause to weep, both in public and in private. In fact, we all do. Surely, when historians write about last weekend's Liberal leadership convention, they will note that both the Prime Minister and the man who would replace him share the same name. Linguistically, the difference between them is a matter of accent. A bilingual Canada wouldn't have it any other way. Of course, the differences between them run much deeper than that. But more about that in a minute, because there is something more important than what divides these men. What was most notable about what happened this weekend was how many of us didn't see it coming. What we missed was a generational shift in Canadian politics. Mr. Harper, Mr. Dion and the man who catapulted Dion to the leadership of his party -- Gerard Kennedy -- are at the tail end of the baby boom generation. Unlike Mr. Ignatieff, Mr. Rae and this writer -- who were born immediately after the Second World War -- Mr. Harper was all of eleven years old, and Mr. Kennedy was a year behind him, when the October Crisis occurred. And Dion, at fifteen, had not yet graduated from high school. They were all even younger during the Cuban Missile Crisis. The issues which seized our imaginations are not the issues which seize theirs. For them, the crisis they face is, in Mr. Dion's words, " no less than the reconciliation of the people and the planet." The threat of nuclear annihilation is still out there; but, for this generation of Canadians, the threat of environmental meltdown looms much larger. I have argued in an earlier post (October 25th) that Stephen Harper doesn't see the threat. Perhaps this week's events will focus his attention. But, given what appears to be his libertarian core, I have my doubts. So, as one generation cedes power to another, the issues change. And both men share more than a name. Both work from a foundation of non-negotiable principles. 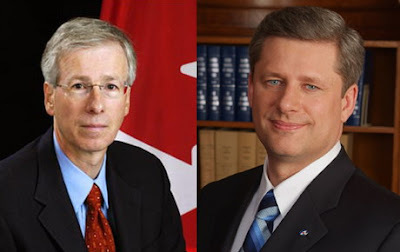 For Harper individual autonomy is paramount. Government is a threat in most areas of human activity; and most people should be left to fend for themselves. Dion believes in a united Canada -- or at least in the principle that if Canada is divisible, then Quebec is, too. And rather than leaving people to fend for themselves, Dion believes that government needs to invest in people, not simply deliver cheques to their mailboxes. They also share significant weaknesses. It would appear that both lack people skills -- a surprising fault in a politician. And both apparently find it hard to compromise, another surprising weakness in men who seek to lead a country which has been built on compromise. So where does that leave us? Well, to begin with, the next election may actually be a policy driven election -- an election about ideas rather than the cynical manipulation of images and sound bites. It could also be an election about the future rather than about the follies of the past -- although that, perhaps, is too much to hope for. Or it could be an election which solves nothing. It could replace one minority government with another; or it could simply reaffirm the present minority government for a second volatile term. It's hard to predict the outcome. At the moment, Canadians are waiting to see what develops.